You are an inspiration for me and for many. We miss you a lot! It's been many years Monty. 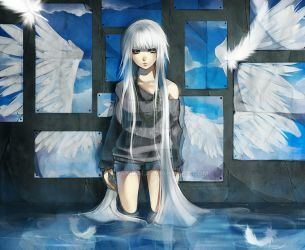 I still have the Rinoa art you made posted on my wall as tribute. You always inspire me in whatever creations I do. 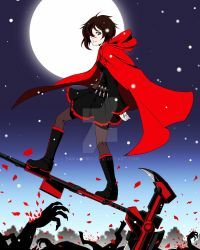 i may have only started watching rwby a few weeks ago, but it is one of the best shows i have seen. thank you monty. RIP. We miss you, Monty, always and forever. It's really cool seeing people come back here year after year. You were such a hard working 3d animator, your Halo v Metroid animation was so inspiring to me. Thank you Monty! Just came back since you left us. So amazing to see you creations still alive and flourishing through the voices of so many other artists. Monty, I wish you could be here in person to see the amazing stuff CRWBY has done so far. I know there's a portion of people who think that RWBY won't ever be as good because you're gone, and maybe they're just bitter, but they've really carried a torch to the work you put in with Miles and Kerry. Missing your work every day, my dude. Thanks for being who you were. It's four years now. Time has passed. We have continued moving forward. You too kept moving forward, to a grander stage. I remember hearing about it around the time it actually happened. I only just really got into RWBY within the past couple of weeks, but I can honestly say that it's quickly become one of my favorite series ever. Monty, reading about your story of how you created the show has inspired me. I wish you were still around so I could thank you directly. You created something amazing. And I want to do the same. In your own words, "Keep Moving Forward." His profile pic looks like a DMC cosplay...the one Asian demon. God bless affirmative action. 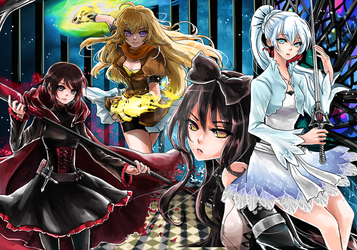 So he made the RWBY girls?